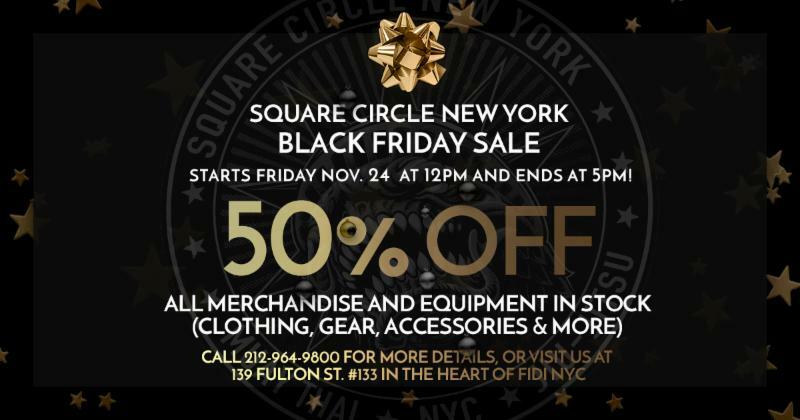 Black Friday Nov 24th 50% Off on All Merchandise! Nov. 22, 2017 – ‘Tis the Season to be Jolly! Join us in celebrating our Annual Winter Holiday Sale this week beginning on Friday, November 24. We are gifting students and friends with 30% OFF of all equipment and apparel for one week only. Now is the perfect time to trade in your old gloves for a new pair! On Black Friday, November 24, we are spreading even more joy with 50% OFF of all equipment and apparel! Lots of members have already begun pre-purchasing, so you’ll want to get your goods before it’s too late! Member renewals and new students who sign-up and PAY IN FULL will receive 2 FREE bonus months of training! Member renewals and new students who sign-up with financing (monthly payments) will receive 1 FREE bonus month of training! 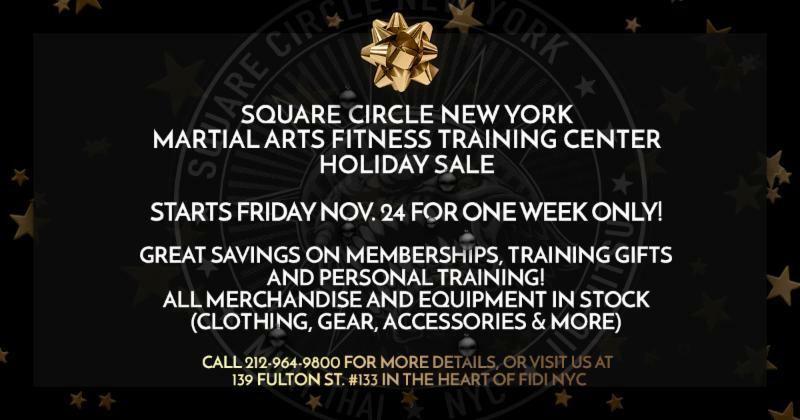 ← BJJ Group Class Sat 11am Mar 17 is OPEN to All Members and Guests at SCNY!